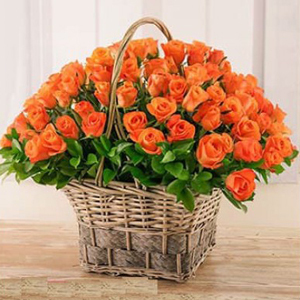 An assortment of beautiful 200 Orange Roses arranged by RGCards.com will surely enchant your dear ones. This 200 stunning orange roses will bewilder your special one in India. The green leaves add on to the beauty of the basket. Browsing through the site you can also select other Gifts to India .